Part of one of the largest business services companies in the world, Rentokil Initial PLC, Dudley Industries Ltd is a specialist in the manufacture of stainless steel washroom equipment. 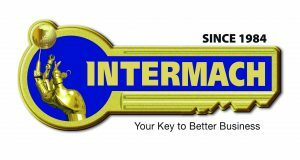 The company produces a wide range of products for both its parent group and for other businesses as a subcontract manufacturer. The Lytham-based company boasts high levels of expertise in all aspects of stainless steel fabrication and operates a well-equipped manufacturing facility. The plant list at Dudley Industries includes heavy-duty and hydraulic presses that cut and form sheet metal, advanced welding facilities, and laser punch and etching machines that use templates and designs networked directly from CAD. Components are further processed with the use of a variety of welding and fabrication finishing equipment. The quality of Dudley Industries’ fabrication finishing and weld dressing processes have a huge effect on the aesthetics and functionality of the company’s products, therefore particular attention is paid to these critical procedures. When exceptional levels of demand for a recently introduced product began to place a considerable strain on the company’s existing fabrication finishing and weld dressing resources, a search was made for a solution to the company’s bottlenecks. The answer was found in a fabrication finishing and weld dressing robotic cell, designed and manufactured by Autopulit and installed by Ellesco. “Reflecting our enduring quality culture, Dudley was one of the first companies in the UK to achieve ISO 9001:2008 accreditation and the quality of our products remains the company’s number one priority,” states managing director at Dudley Industries, Gordon Higham. “As our finishing routines provide the superior product appearance we insist upon, and reflect the quality of our products, we are keen to excel in this area. “In addition to growing demand for many of our other products, the introduction and success of a new product meant that our manual weld dressing and fabrication finishing functions became a major production pinch-point,” he continues. “Given our urgent need for an advanced, all-embracing finishing system that could handle our significantly increased production volumes, and be able to deliver the demanding levels of quality we require, I contacted Ellesco. Having previously dealt with Ellesco I was aware, not only of the company’s wide range of ‘off the shelf’ finishing machines and its great expertise in the field, but of the company’s ability to design and supply bespoke, automated finishing solutions. 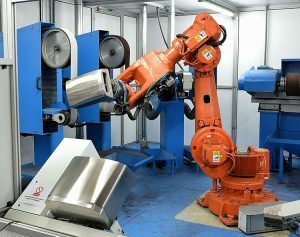 The discussions resulted in an ingenious design consisting of a fully automated robotic finishing cell with two long-belt grinding heads, a double-ended Scotch-Brite buffing unit, an 850 mm wide Scotch-Brite buffing unit and an 850 mm wide polishing unit with automatic polishing compound application via spray guns. Rather than Dudley Industries’ products being finished manually, each product is now precisely loaded on to its own dedicated fixture and held securely by means of a vacuum. After the relevant program is selected, the fixture holding the part is picked-up by the automated system’s robot arm and taken to each of the cell’s individual abrasive belt machines relevant to the product’s finishing requirements. The robot then manipulates the product according to its program and applies it to each rotating abrasive belt under a predetermined pressure. As each facet of every product is finished in such a thorough, repeatable and reproducible way, not only are exceptional fabrication finishing and weld dressing standards achieved, the Autopulit system has reduced previous finishing and weld-dressing cycle times, and significantly cut company rework and scrap levels. Ellesco offers a variety of machines to carry out the many different weld dressing processes, including: preparation and removal, blending and shaping of seam welds, and smoothing spot and puddle welds. 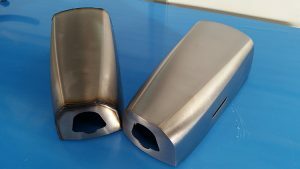 “Although these kind of finishing techniques are normally carried out by skilled personnel, just as with fabrication finishing and polishing procedures, the staff of both Ellesco and Autopulit have considerable experience in the design and installation of automated weld dressing processes to suit the vast majority of applications,” says Simonis. Rotherham-based Newburgh Precision Ltd, a contract manufacturer of project-critical component parts and assemblies, has acquired a new Kafo KMC-4140 double-column CNC machining centre from sole UK agent, TDT Technology. 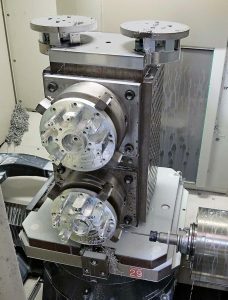 The machine has been purchased to produce high-value components for the defence industry. 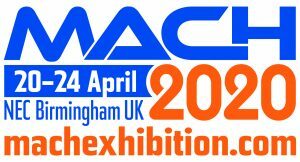 Assessing the various options online, Newburgh Precision shortlisted two machines, including the Kafo KMC-4140, which met the company’s requirements of size, capability, build quality and price. “As luck would have it, we were aware of a company in France that had both of the machines on our list,” says Greenan. “One of our team paid them a visit and, upon discussion, discovered they had a preference for the Kafo. In my opinion you cannot beat personal recommendation when you are making machine tool investments. Newburgh also says the speed of the Kafo machine means the company can process parts around 25% quicker than using its bed mill. The manufacture of braking systems for rail vehicles is the specialism of Knorr-Bremse Rail Systems UK, which says that its patented EP2002 distributed brake control is recognised as the best in the world and the de-facto standard on all new trains for London Underground as well as metros in Bangkok, Dubai, Manila and throughout China. Designed at the company’s engineering and manufacturing facility in Melksham to a very high specification, which includes 25 µm dimensional tolerances and a mirror finish of 0.2 CLA in the valve bores, the products comprise eight main prismatic parts. They are machined at a production facility in nearby Knorr-Bremse Corsham from solid aluminium on six Heller twin-pallet HMCs. The latest was installed in July 2017, fitted with a four-pallet pool. Ranford regards the working relationship with the supplier and the service back-up as first rate, which translates into minimum spindle downtime at the factory and the all-important high levels of manufacturing output that are needed. 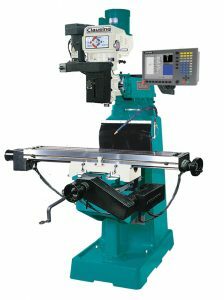 600 UK has announced the latest addition to its Clausing range of machine tools, the MillPWR CNC mill. The machine is fitted with an Acu-Rite conversational-based control system from Heidenhain, which is available in four languages: English, French, German and Spanish. 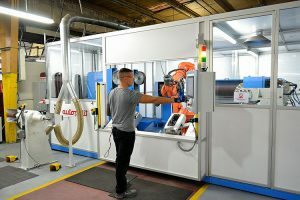 According to 600 UK, the MillPWR mill allows users to create and program complex parts in minutes, manufacture one-offs and small-batch parts, and routinely mill prototype and test components. 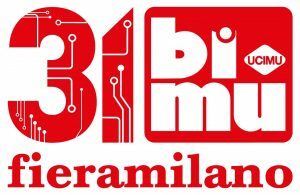 Scales with a resolution of 1 µm resolution are fitted as standard. The MillPWR Acu-Rite control uses a 12.1” screen, displaying graphics in either 2D and 3D line, or 3D solid formats. Operators can also upload, edit and run G-code and DXF files, enabling the use and transfer of programs directly to and from the machine. There is 2.5 GB of internal memory and the ability to store and modify up to 99 part programs. For external storage, USB and Ethernet capability are also available as standard. The MillPWR CNC mill is supplied in three models, with table sizes from 230 x 1245 mm and 254 x 1370 mm. Motors offering power of 2.2 or 3.7 kW are employed, giving spindle speeds of up to 4350 rpm. Spindle tapers of either R8, ISO30 or ISO40 can also be supplied. In 2015 Ray Harris set up his own subcontracting company, Driven Precision Engineering, to specialise in F1 manufacturing. He rents space on the shop floor of LW&T Engineering, another contract machining firm in the Farlington district of Portsmouth. 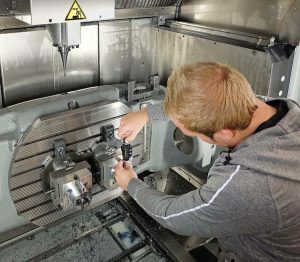 A second-hand, three-axis machining centre was his first purchase, followed by a five-axis model from the same supplier a year later. The latter machine extended the complexity of work that could be taken on by exploiting simultaneous five-axis machining and allowing more efficient manufacture of standard parts by positioning and clamping the two rotary axes. 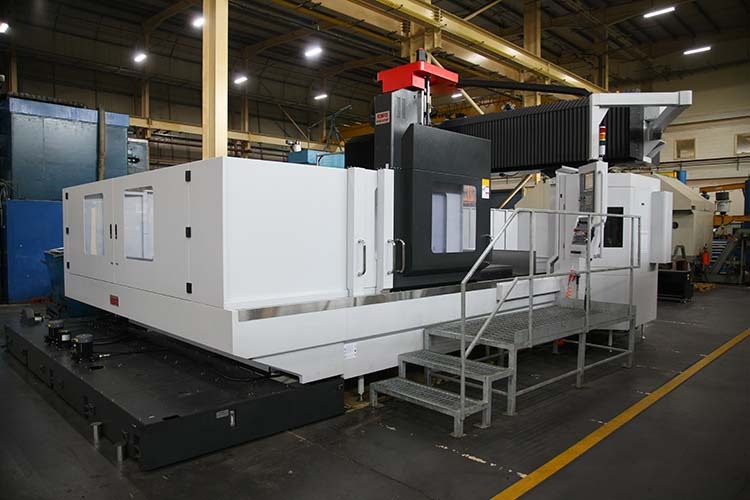 To add another spindle and increase the size of work that can be undertaken to 850 x 700 x 500 mm, his latest purchase is another five-axis machining centre, this time a Hermle C400 supplied by Geo Kingsbury. Harris describes how he came to buy a machine costing significantly more than a five-axis machining centre of equivalent capacity from the incumbent supplier. “It was our tooling supplier, Betta-Cut in Southampton, that suggested we look at Hermle, as the sales engineer is an ex-employee of Geo Kingsbury and knew the machines well,” he says. “I searched on the internet and found only positive comments about the machines. Normally you can unearth some negatives about machine tools on discussion forums, but I couldn’t find any about Hermle.